When life seemingly deals you a bad hand, it can be a long and gruelling experience. But sometimes, it only leads to better and brighter things. For a couple in Cebu, the long wait for a house of their own is over, and that life ahead is only starting to get better. 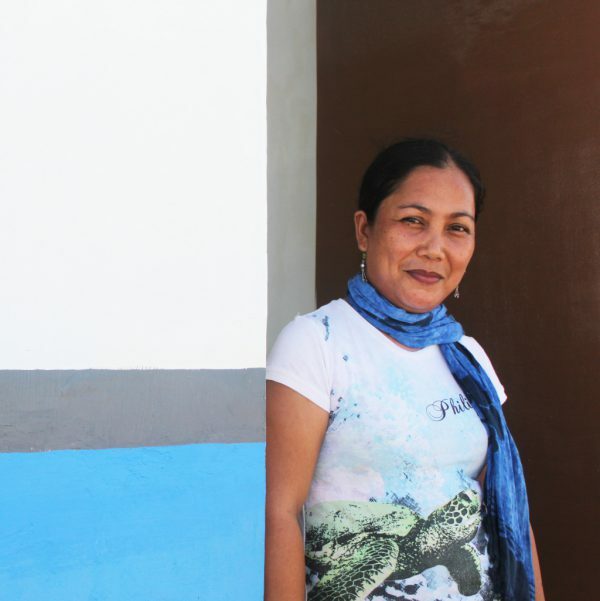 Two years have gone by, and their lives unexpectedly took a turn for the better: Analyn and her husband were chosen as one of the 76 recipients of a new disaster-resilient home in Daanbantayan, Cebu. The uniquely-designed “hypar” house is meant to withstand winds of up to 270kmh, a far cry from their rented shack. Situated in a plot of land farther away from the no-build zones, their new community is safer, more secure, and a better place to raise a family than where they used to live. The couple believes that this is just the start. They hope more blessings will follow after their new home: Her husband would be able to bring in more income, Analyn would be able to find a good-paying job, and they wouldn’t have to worry about their health anymore. And perhaps the best hope they’re holding onto — the best blessing they could ever receive after this — is something that they think will surely complete their lives and bring them endless joy. “We’ve been trying to conceive for quite a while, but we’ve never been successful,” she says. “We’ve always dreamed of having a child to take care of and share our precious moments with.” Analyn says nothing else would make their happiness — and their new home — complete than to have a child of their own. “In my mind, I could see my future child running and playing around the house, waving me goodbye before going to school. I could see myself even feeding him or her,” she says, holding back tears. Analyn believes that this may all be part of God’s plans, and maybe it’s in this new house that they’ll be able to start a family. John Allison describes himself as a single parent, brother and proud homeowner. But to say that John is proud does not do much justice for his enthusiasm with the home that houses himself, his son and his sister. “I used to board in a small room. 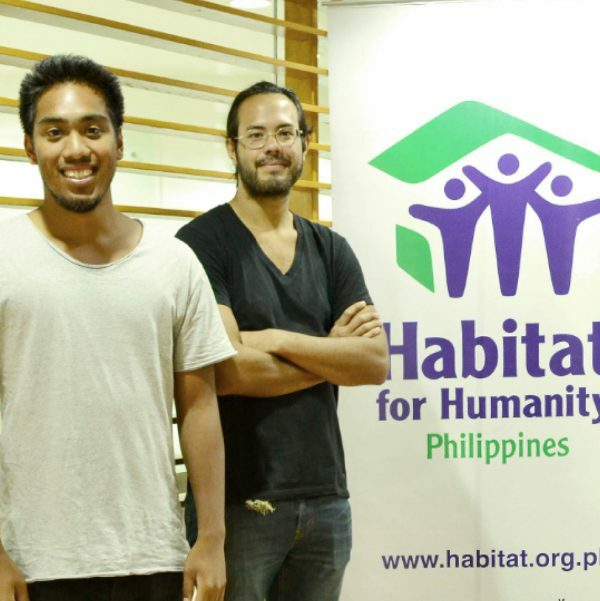 Life was pretty difficult back then because nearly all my earnings go to the rent.” John says he is extremely blessed that he was one of 4,000 applicants to be chosen as a beneficiary of a Habitat for Humanity house in its FTI housing project in Taguig City. “Now that we have our own house, life is much easier… It’s quieter, safer and more peaceful compared to where we used to live. This is THE model community,” he beams. 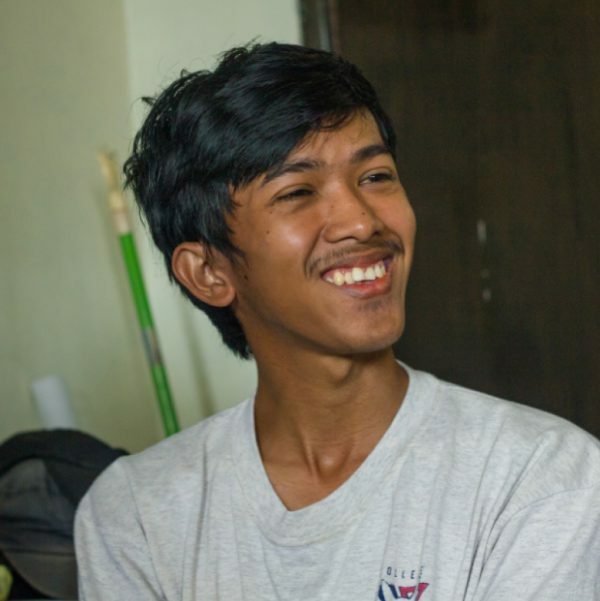 John, who has been living in Habitat’s FTI community for six years now, is the head of the Livelihood Committee, which offers sustainable livelihood projects for the community. “We used to make candles. 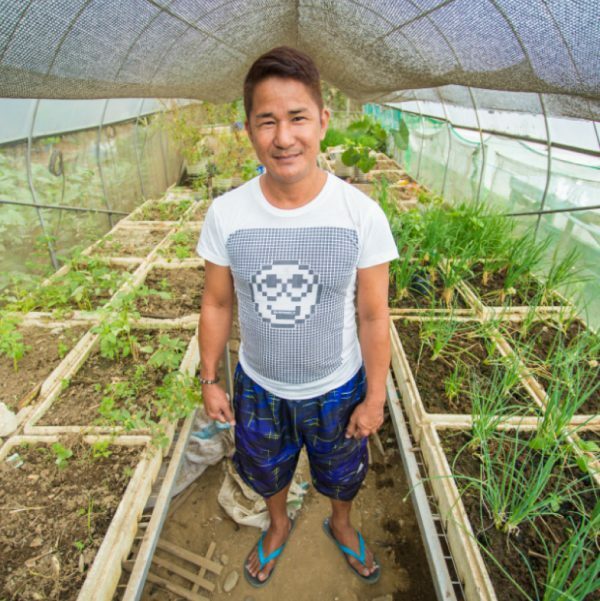 Now, we plant our own vegetables and sell them, and it’s been very successful.” he explained. All the profits from the vegetable sales are used to fund their homeowners association’s community development projects and water facilities. And these words ring true for civil engineering graduate EJ Pablo. The eldest among four siblings, EJ has been able to keep it together for himself and his family even at a young age. He vividly remembers when he was still growing up: “We used to be informal settlers. One day, the whole settlement burned down. Everything was wiped out and we weren’t able to bring anything with us.”After their community was razed by a fire, they were left with nothing, and they were forced to move in with their relatives. “Everything we had was lost. We weren’t able to save anything. We had no choice but to start over,” he says in Filipino. In addition, his parents would always worry about the schooling of their children and that it’s the one thing that they cannot simply take for granted. 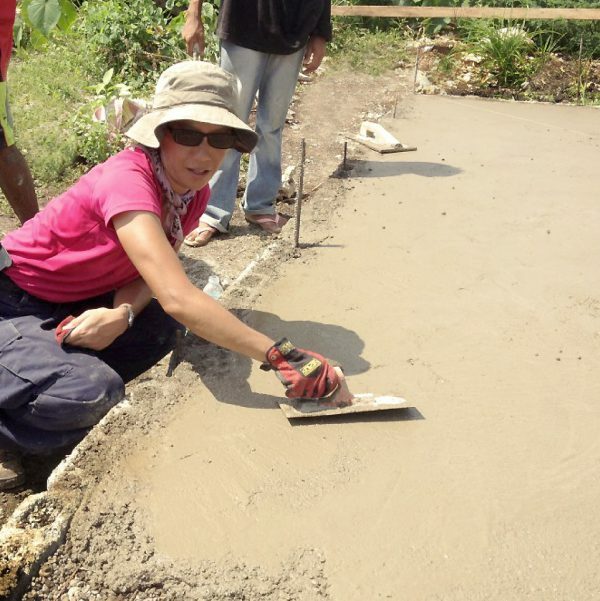 Their family then applied to Habitat for Humanity Philippines’ socialized housing project, and underwent a “sweat equity” scheme, in which homeowners participate first-hand in rebuilding their homes — and their lives. After quite some time, Ej’s family has been living in a safe and decent home for seven years now, and a lot has improved since then. “We didn’t have running water in our previous community. Here in the community Habitat built for us, we not only have water, but also easy access to supplies. It’s peaceful here, more relaxing and I’m able to study better for my school subjects,” he says. That is why, at HFHP, we also take into consideration the importance for children to be in a safe environment that’s very conducive for learning. More often than not, we highly encourage our donors to support and further the education of the children in Habitat communities in order for us to provide them a healthy atmosphere for studying. In the case of EJ, he’s a testament of the combined efforts of our regular donors which brings us great delight. We first met Felisa Amistoso and Shirley Elladora last year. Back then, they were just two women who were motivated by a dream. This is a story of their success and unwavering hope for a better life. Read about their journey here. It is November 6, 2015. The air was festive. There were green and blue balloons lining the main road. A marching band was playing a catchy, modern tune. The sky was a clear, bright blue, complementing the green roofs of the houses. Some had curtains, others already had furniture, many had lawns and new shrubbery. There were children running around the village. There were women sweeping the floors of the houses. There were men gathering water and making last-minute adjustments to their furniture. These are the new residents of Habiat French Village in Barangay Agujo in Daanbantayan, Cebu. They are 76 families who lost their homes to super typhoon Yolanda (Haiyan) in 2013, but gained new and better ones nearly two years after. 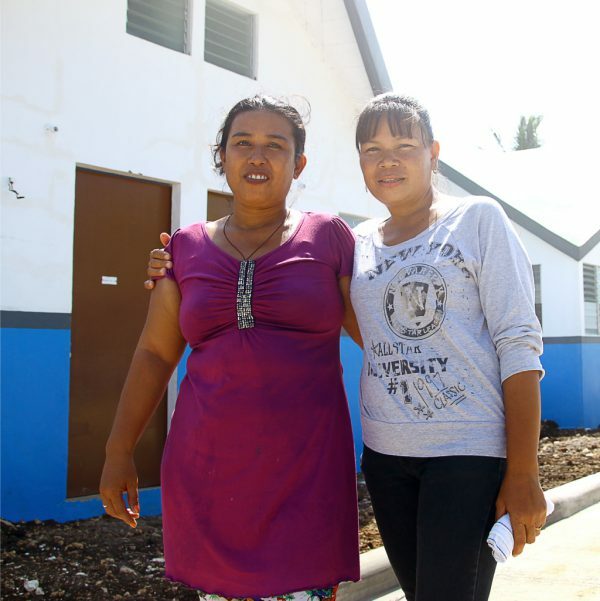 Felisa Amistoso and her best friend, Shirley Elladora are two of these new residents. Up until a few days ago, Shirley and Felisa were living in rented shanties among fishpens and a creek in what is now a government-declared “no build zone”, on land that wasn’t even their own. 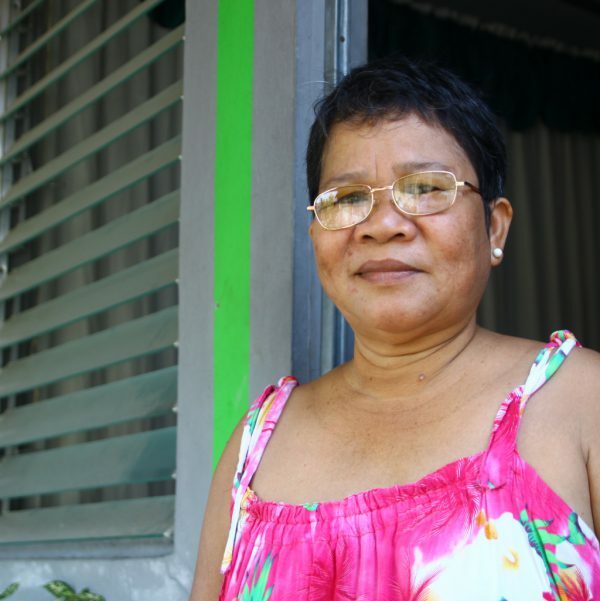 Felisa recounts that in all her years, she had never experienced living in a concrete house. “We were literally squatters,” she said. 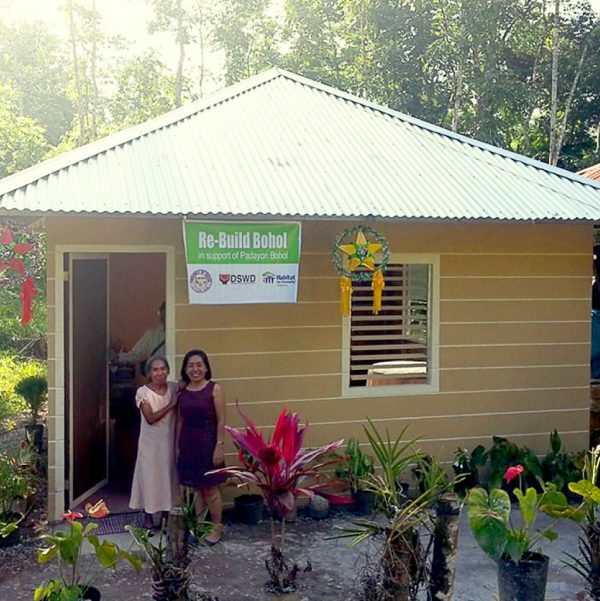 Last year, Shirley and Felisa were chosen by the Daanbantayan LGU as potential beneficiaries of one of the 76 disaster-resilient hypar houses Habitat Philippines is building in Barangay Agujo. But they had to undergo sweat equity first in order to qualify for the final list. Motivated by this dream, they continued working. They completed the required 400 hours of sweat equity and came out more empowered women who were not just mere house recipients, but home partners. And so it came to pass that on November 6, two days shy of Typhoon Yolanda’s second anniversary, the Elladoras and the Amistosos moved into their new homes in a festive turnover ceremony. “No words can describe my happiness today,” Felisa said. “We finally have our own home, and it’s everything I’ve always dreamed of and more!”Felisa’s husband, Norlito, was also elected president of their homeowners’ association, an unexpcted blessing for the Amistoso family. These are the real value of decent homes: it gives people opportunities and inspiration to break out of the poverty cycle because it helps them dream big. “My children can study more comfortably now,” Shirley added. Then she points to her belly: “And this one, he will grow up in a better home. He will have a better life.” Shirley is five months pregnant. The blessings just keep coming. Shirley and Felisa are the epitome of the modern woman: driven, motivated, inspired and empowered. They did not lose faith or hope. They pushed forward because they had a dream of a better life for themselves and their family. 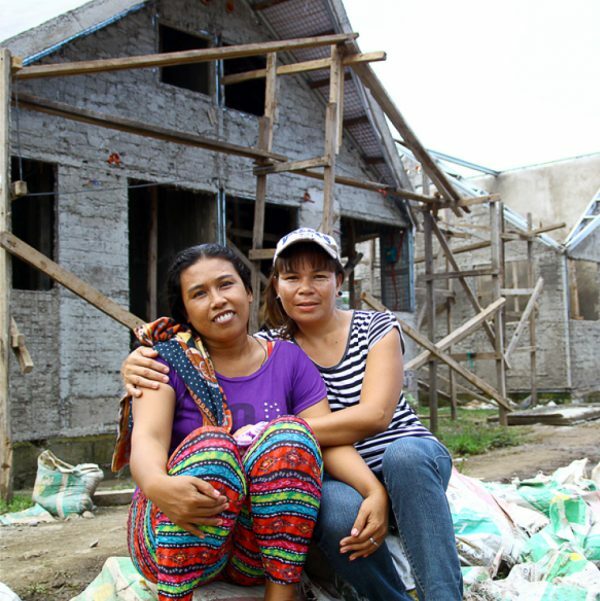 And Shirley and Felisa: they can finally start building and living the life they’ve been dreaming of ever since.